#785* – IF YOU Did Not Have A Reason to Vote Against EUkip …. here are more! WELL PERHAPS THEIR LATEST PLUNGE INTO THE GUTTER MAY BETTER INFORM YOU! I note with contempt that someone is so worried about Junius on UKIP they have set up a spoof site trying to frame John West as the author of the site. I guess EUkip are finding Junius damaging and now that they have been so regularly eposed and their lies, corruption, racism, anti Judaism and the pursuit of self interest by a self seeking claque in betrayal of any principles or morality and especially in betrayal of the founding principles and the members of UKIP. The panic would seem to have reached the stage where they will do almost anything – no gutter too deep – to try to expose Junius and those who contribute to it within the EU. There is alternatively the possibility that having tried to set up one decent man who showed them for the sordid low lifes that EUkip truelly is when their chosen mark died they now seek to hound another. The only other possibility is that one of the posters to Junius feels that his income is threatened by exposure and they are trying to side step that risk by framing John West. My money is that Mark Croucher, having made a fool of himself in his attempt to frame a terminally ill man whilst leaking material to strenthen the image, having come unstuck he now finds that his position dealing filth for Farage is not as secure as he felt and is ever willing to demean himself in any vile way seeks again to try to find favour dealing filth. It is astonishing that EUkip have not yet worked out that who Junius may be is utterly irrelevant – the best way to solve the problem is to act ethically themselves. There is little or no gain in seeking out the messengers one after another as there is no shortage of message. The first week of the new year will display that all too clearly. After further information received I think the denouement will commence on the 11th. January 2010. I shall leave advertising the relevant spoof URL to the underhand filth that posted it or one of their vile cronies. It displays all the accuracy and lack of integrity or morality of The Common Man – oh so very common! One should remember that EUkip’s leadership scum have already been found guilty in a Court of law of using the internet to abuse and bully John West – this latest effort that has all the hallmarks of EUkip’s leadership can do nothing but cause contempt and abhorrence amongst decent folk. Another damaging own goal – would you really want these scum to hold any office of authority let alone their allegiances with racists, xenophobes, outright violence, anti Judaism and outright dishonesty? That they are putting so much dishonest spin onto The EUkip forum as to why there are benefits in EUkip consorting in a sewer belies the truth! You will note the claims that membership of this vile Pan EU Political Party EFD Group gain more time for EUkip to speak in The EU pretend parliament are specious as an honourable man would rather be silent than consort with such trash – also it is clearly not true as if you look at the details EUkip’s one man band – the performing monkey Farage aside – tot up the speeches made, add them together and divide by the 12 remaining EUkip MEPs and compare that with the number of speeches of the vile BNP that Farage and Croucher did so much to help get elected! It is also dishonestly claimed that EUkip MEPs get more money by being members of this vile grouping – OK so even if EUkip MEPs morality is such that their pretend principles are for sale and they are mere political whores – compare the facts! 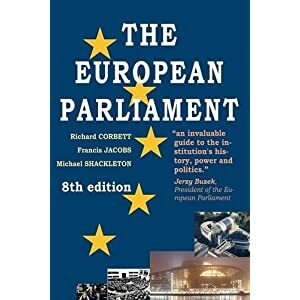 Am I not correct in stating that each Non Escrite MEP receives more than Farage permits to trickle down to the MEPs he controls, clearly for his own gain, through the ever dodgey Robin Collett – one of Farage’s ‘men for all seasons’. It is well known that when Tom Wise finally chose to resign from EUkip within the group his income was thereby increased by Farage. 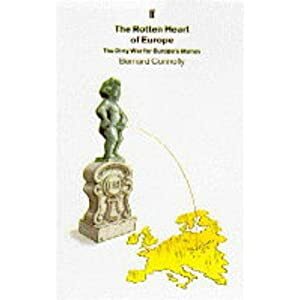 May I also point out that as members of the Non Escrite any EUkip MEP who had the integrity to disassociate themselves from the malign self interest of Farage woul have more control over both their allowances and staff – which at the moment as part of the Pan EU Political Party structure even in its nascent stage leaves Farage controlling much of the budget – seemingly for his own gain. I wonder when Marta Andreasen will jump ship aware she would be onto a better earner with greater liberty to sell her novel and peddle her pack of lies about being a whistle blower (more appositely a weasel blower!). Batten would seem at this stage to be, as ever, all p*ss & wind and for all his posturing he will clearly be too spineless to leave, despite the fact tht Farage all but told him to go forth and multiply when he demanded an apology and I gather Pearson was unwilling to seek a reconciliation also! For all her courage in standing up to Farage there is every reason to believe that Sinclaire will be brow beaten by her enemies to remain on board the sordid ship that Farage has constructed for his own ends, though his atempt to blackmail her with the stale news of a spent blackmail did no more than make Farage look underhand and duplicitous – actually employing Croucher at the expense of EUkip just to act as his arse wipe recycling any filth he could find. Consider the parlous state in which Farage now stands, reveilled by most who know him who praise him to his face whilst leaking material to Junius, even as they work for him, and myself to try to control his excesses such that he has employed Croucher as his tame rat and wet nurse to mop up behind him and seek out filth to use for him. The EFD currently has 31 members and there are the 3 I have mentioned who would possibly leave when the first person has the integrity to act with principle – then there is Trevor Colman who as a bent ex copper is utterly untrustworthy, having orchestrated trying to cover-up Tom Wise’s criminality he is in real terms no better than him (collusion after the event?). His involvement in the setting up of UKFirstParty was notable – dishonest and gutless as he clearly is there is the possibility he may try to acquit his duty and disassociate himself from extremism and racist, anti Jewish fellow travellers, but maybe not, as an ex copper he may himself be a closet racist. But that makes it 4 whom Farage can not count on who have broken cover, in EUkip alone, and the second he drops below 29 members his nascent Pan EU Political Party comes unravelled and his dreams of avarice collapse! Is it any wonder EUkip has failed to make a single notable step towards liberating Britain from the EU in 16 years and there is absolutely no vision beyond getting Farage elected and empowered to make yet more money for himself through setting up a Pan EU Political Party with his racist, xenophobic, anti Jewish extremist & violent chums in November. #784* – EUrophile Drive for UK to Enter The EUro. EUrophile Drive for UK to Enter The EUro.! 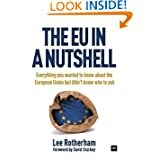 An informative Essay from a BANNED EUkip NEC Member! It is sad that EUkip has so befouled its own nest that it no longer has any informed input with experience of much more than how to get Farage with his snout deeper in the trough. It is very many moons since one read a serious ‘pitch’ of any sort from EUkip or a member of their leadership claque. Farage is just a showman – find a single solitary item of any gravitas or consequence he has written on the whole of the web let alone the EU Web Site or that of EUkip. Hunt all you like and you will find no thought through material of consequence from Colman – he hasn’t the ability, even as an accountant William Dartmouth is as ever out to lunch. The sad maunderings of Derek Clark would prove learned in my Mother’s care home where most are his age. Batten is infrequently to be seen doing anything for EUkip and as his results in the Mayoral elections his constituents consider him about as popular as a pork chop in a synagogue when he got 1% of the vote! Andreasen is peddling her novel and Farage is plotting with some low life for his own gain – Just where Nattrass is no one knows as like Batten he is an infrequent visitor. 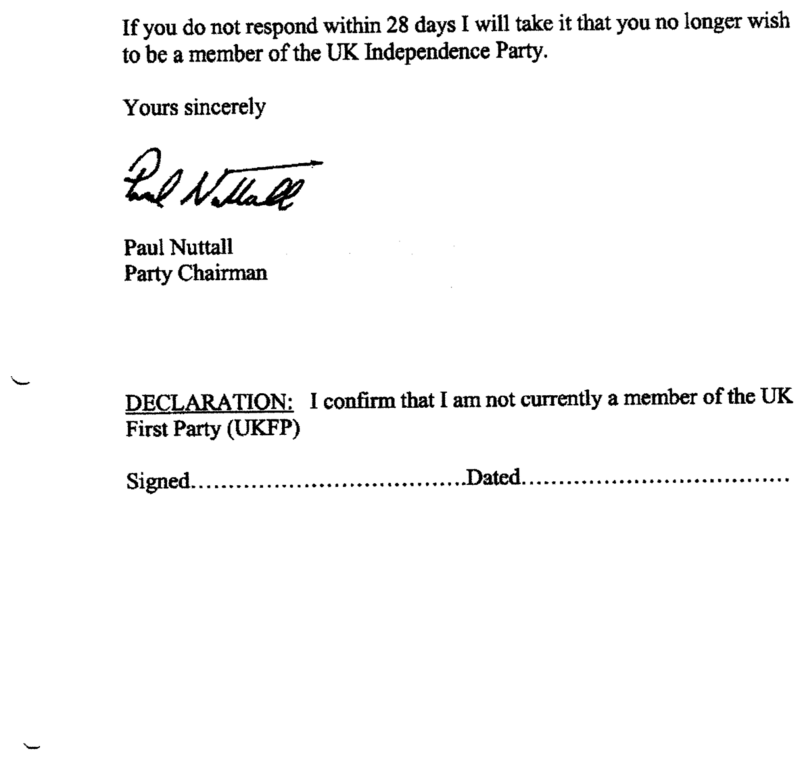 Not one of EUkip’s MEPs have published their accounts despite the lies of Farage in the run up to the election when they wanted your vote and PROMISED to publish detailed accounts every 1/4 – to date NOTHING. Just what have EUkip done or achieved towards getting Britain out of the EU since they were elected in June 2009? In fact can anyone name a single solitary substantive achievement towards that end that they have achieved in the 16 years of their existence? 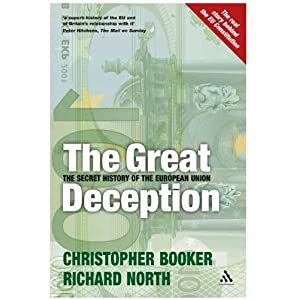 In the interim here is an essay on the EUro It was written by an elected NEC member who Farage and his claque lied about, smeared and attacked forcing him off of the NEC when he asked for details of the accounts of the Party – the very reason this ex Bank of England executive was elected by the members of the SW.
Have you actually looked at the abject lack of skills and talents of those in EUkip’s leadership – MEPs – NEC staff – executive. 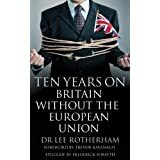 Is it any wonder that EUkip has achieved so little in 16 years. It must however be admitted that it has created several Millionaires amongst its elected MEPs and has gathered together a claque of praise singers protecting the inept leadership at a cost way beyond their value or ability. Today’s DT business headline, “Britain’s debt is now a riskier proposition than Italy’s” means we can expect a new push for the UK to abandon Sterling and join the Euro. The factual basis of the article is that the yield on 10 year gilts exceeded that on 10 year Italian BTPs yesterday in intra-day as fears over Britain’s financial credibility in money markets increased. Despite the massive QE programme of money printing and gilt buying by the Bank of England which should have reduced gilt yields, since March gilt yields have increased by more than 100 basis points. At current levels this increases UK government long term debt servicing costs by 25%. The credit rating agencies have warned unless drastic action is taken soon to cut government spending the UK credit rating currently AAA will be downgraded and interest payments by us the taxpayers to service government debt will increase. Hedge funds have already sold short some £35bn of gilts in anticipation of gilt prices falling and gilt yields rising. The so called independent BoE continues to do the government’s bidding and prints even more money. The bond market as I have said frequently is sovereign as is the associated FX market. As a market’s man I am not a great believer in economic theory but the very simple truths of supply and demand. If you increase the supply of Sterling and demand for Sterling by Jonny Foreigner falls on the market the the Sterling exchange rate against the Euro and Dollar will fall. The a huge cry of, ‘We told you so. If we had joined the Euro this would not have happened to us etc etc’, will arise from the ‘philes led by that paragon of objective journalism the Beeb. For someone like me who worked for the Government in 72 and 73 when Heath sold us out to the EU its the same argument repeated. Then Heath, in the face of opposition from organised labour especially the miners, could not run the country so we handed it over to the smart Jonny Foreigners in Brussels who did not have these strike problems and who knew how to run our country better than we did. Its deja vu all over again as Dubya said. The truth is all is not hunky dory in Euroland with unemployment of 20% plus in Spain, Greece and indeed all of Club Med. The root of our problems lies in our rotten party political system which does not represent the real views of the UK populace and is dominated by a self seeking political elite that responds only to special interest groups. Special interest groups however do not pay the bills. That is done by middle England so let us have a little more of he who pays the piper call the tune and a lot less political correctness especially the smearing of decent people as Islamophobes or racists when they speak out in support of traditional British values of decency and fair play. #783* – IF YOU Did Not Have A Reason to Vote Against EUkip …. IF YOU Did Not Have A Reason to Vote Against EUkip ….! WELL PERHAPS THEIR LATEST PLUNGE INTO THE GUTTER MAY BETTER INFORM YOU! The panic would seem to have reached the stage where they will do almost anything – no gutter too deep – to epouse Junius and those who contribute to it within the EU. My money is that Mark Croucher having made a fool of himself in his attempt to frame a terminally ill man whilst leaking material to strenthen the image having come unstuck finds that his position dealing filth for Farage is not as secure as he felt and willing to demean himself in any vile way seeks again to try to find favour dealing filth. The first week of the new year will display that all too clearly. One should remember that EUkip’s leadership scum have already been found guilty in a Court of law of using the internet to abuse and bully John West – this latest effort that has all the hallmarks of EUkip’s leadership can do nothing but cause contempt and abhorrance amongst decent folk. Another damaging own goal – would you really want these scum to hold any office of authority let alone their alegiances with racists, xenophobes, outright violence, anti Judaism and outright dishonesty? #782* – Gary CARTWRIGHT SHOWS JUST WHAT SCUM EUkip HAVE BECOME! Gary CARTWRIGHT SHOWS JUST WHAT SCUM EUkip HAVE BECOME! HE RIGHTLY SHOWS CROUCHER IS OFTEN THE ROOT OF EUkip’s DESTRUCTION – for his own personal gain! In 2005, before the General Election, I was tasked with doing an audit of candidates. A man I will call “Mr S” had very strong BNP connections. I reported this to Farage. He told me to “drop it”. More about this later…. I was accused of leaking information to Greg Lance Watkins once, by David Lott and Nigel Farage. When as a result of my own investigations into the matter I showed them that only they (and Gawain Towler) had that the relevant information at the time it was leaked, it very suddenly became “well, actually, its not something we are here to talk about”. Well. at least I had found the leak…! I was accused of selling a story about Farage’s son to the Sunday Times. When I produced a letter from the ST to confirm that I was not the source, the leadership did not want to look at it… the lie had served its purpose. I lost my job as a result of that lie. Having found a new position in the European Parliament, I was then accused of being a member of the BNP, a cross-dresser, a closet gay, and – most insultingly – of having lied about my service record. This all came from the aforementioned “Mr S” and one of his chums. The allegations turned into threats, and I had to call in the police. The harassment then stopped. Mr S’s chum was an ex-con, and so they probably realised it was a good time to stand down on this one. Then, whilst I was subsequently working as a journalist in Brussels, my editor was viciously attacked on the platform of a train station by a young lady working for in the offices of the UKIP Brussels clique, who objected to a story “Gary Cartwright had written”. I didn’t write that story… it showed me the measure of these folks. Idiots, one and all. I was attacked by a young intern for being “Junius”. His behaviour was appalling. When Piers Merchant was “exposed” as Junius, did I get an apology? No way… again, it shows us the measure of these people. 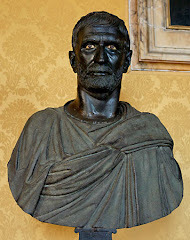 Piers is no longer with us, but Junius is still active. Has an apology been issued to Piers’ family? You can guess… by now you will know the measure of these vile people. I walked past Farage’s office a while back – his pa, who I once shared an office with, was there – I try to get on with everybody, and so I greeted him. I was verbally abused in the most obscene manner, and jabbed with an umbrella. Well I guess you are learning Gary – you are not being accused of anything you are merely being EUkipped – a process of dishonestly smearing which Croucher/Skeptyck are adept at – well they would need a skill of some sort wouldn’t they. Lies distortions and smears are the stock in trade of low lifes out of their depth – yes they will score points because they are prepared to sink to any level to keep their snouts in the trough. They have destroyed UKIP as time and time again they have been wrong in their lies and their smears and have alienated so very many devoted supporters of UKIP on a purely patriotic basis. The irrefutable fact that they so befouled the leadership process when Farage stole the leadership that they undermined his leadership Farage would seem to be too stupid to comprehend, his association with such scum has so tainted him that he is either humoured or feared but not respected by anyone of stature. A man I will call “Mr S” had very strong BNP connections. I believe it would not be considered unreasonable of me to ask that you confirm that this individual was NOT Suchorzewski – should you claim it is you will be no better than Croucher & Fuller a liar, as they lied on numerous occasions to ensure that Farage could claim the leadership and thereby they could keep their places upon the gravy train stealing public money because clearly they were not earning it honestly. I have never confirmed or denied my sources but I note the lies that have been told about me and the liars telling them – I have openly challenged anyone to show a single instance where I have wittingly lied or misled unwittingly and I will apologise openly and make the relevant correction – to date NOT ONE consequential alteration or correction has been made, or requested. I have made 2 or 3 corrections and in each case they were of no consequence but were made and flagged up – I am really rather pleased that I have been proven so accurate so often. I like Gary have been accused by the filth in EUkip like Feel Martinez, Douglas Denny, Mark Croucher, Michael McGough and many others of working for almost every agency or interest they may have heard of – they are far too dishonest to believe there are those who still might act out of duty and belief and I know it is hard for them to unmderstand as it is so diametrically opposite to their behaviour in that they seem only to act for personal gain and for that there is no lie, no vile behaviour that can not be bought of them. Croucher was authorised to tamper with the EUkip computers and he managed to contrive false evidence against a man in the terminal stages of his illness – a man who had done more in any day he worked for UKIP than Croucher has ever achieved relative to the harm he has done. I note since it was exposed he was searching the sewers he goes unseen in for dirt on any MEP or staff etc. he never was man enough to apologise for his lies about Piers Merchant nor has he ever been man enough to apologise for his many lies about me – the odious little failure is beneath contempt – there is no vile behaviour he will not stoop to it seems. I can confirm for Gary that it was not he who provided the story about Farage’s son to The Sunday Times as I KNOW the source and I cautioned that I did not believe it to be true and even had it been what harm in having a holiday job as long as a job was being done. Unlike the pure hypocracy of paying ones wife near £30,000 a year when the job it was claimed they did was so inconsequential it left her time to raise a bably & a toddler and the work done was so insignificant that it was invisible to her husband’s office and other staff – there in lies hypocracy. We note the grovellings of pretence from Croucher that he had not been gathering information on MEPs so he has no loyalty or morality as he accuses Farage of being a liar thereby. Interesting isn’t it that despite my having provided him with both contacts and such stories as he could perhaps use positively in the past Croucher saw fit to concoct a pack of lies about me to suit his own gain – now to toady he seeks to abuse the Court system in an attempt to steal money from me in complete denial of normal internet practice. Mark Croucher is not just a liar he is the worst form of humanity he is a cheat and a liar who sill sell out anyone for his personal gain. He is a vile and duplicitous weasel masquerading as of merit – he has none. We note how he became involved with UKIP and steadily befouled it with association with his communist friends and the fascist denial of freedom of speech. We note how he has steadily worked to set alies against eachother, we note how he has leaked private information when it suited him amd set up others on a tissue of lies – that he holds a position associated with Farage speaks volumes of just how far into the gutter EUkip has slid. I trust Gary will rapidly exhonerate Sucherzewski of being any part of his Mr.”S” for those less well connected. May we all with certainty thus draw the conclusion that Mr.”S” is in fact Nigel Farage’s pa who writes those risible ‘e’Mails that Junius and I frequently receive and Junius occasionally publishes. Could it be the Mr.”S” who Gary alludes to is the same Steve who Gary was attacked by recently and whom he knocked to the ground in an act of self defence – EUkip has strange ways of behaving. I note that Farage attacked and abused Sinclaire in public just before Christmas in a childish display of pique. 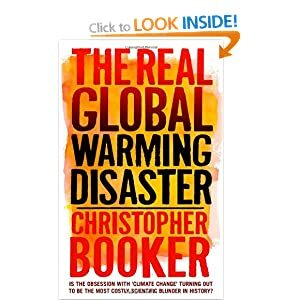 It is indeed likely that Sndreasen could be the first to desert this sinking ship to consider her greater interests selling her novel – this is a woman who has absolutely no morality – fired by The OECD and then by The EU where she was an abject failure at her job – failing to produce the report on how to tighten up the accounting procedures despite several rechedulings – it was clearly a job she was unable to complete and she was sidelined and then dismissed. 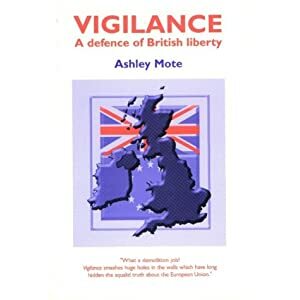 It was not until long after the Courts had shown her to have failed in both her duty and her job that she invented the role of whistle blower for herself – there is not one shed of evidence that she has the vaguest clue how to blow a whistle! That she can betray an employer I feel she is on the verge of doing yet again – when in EUkip she is clearly in like company amongst the deceitful and untrustworthy. In a spirit of accuracy may I go on record stating that I read with increasing astonishment Gary’s recent article on Tom Wise – I had thought more of you Gary, than to have expected you to try to justify Tom Wise’s proven criminality and then to so disingenuously try to conflate his theft, fraud and dishonesty with the ALLOWances paid to MPs – there is absolutely no similarity. Further had EUkip & Farage not orchestrated cover-up after cover-up with Farage using some of the stolen money to pay his own bills and failing to act meaningfully against Tom Wise for his criminal behaviour the damaging behaviour might not have continued to ‘term’ as it did, giving Wise a huge pension far beyond any situation that could be portrayed as fair. Gary you were wrong and to see you in support of criminality serves you ill and most clearly undermines your credibility. 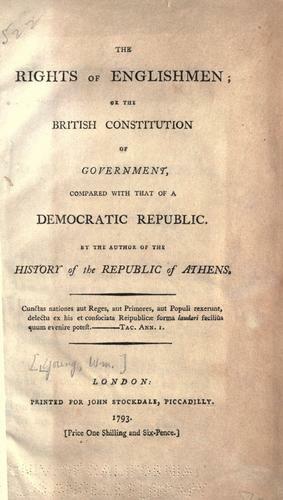 Not an error that I would wish to make nor one I believe any of the contributors to Junius would wish to be associated with – were that the case they might as well stop trying to clean up EUkip with the material they and others pass on, in pursuit of honesty, integrity, morality and patriotism. 1. I stated Richard Allen was an associate of Del Young, as I recal his driver and treasurer and other member of Blaby Branch of EUkip. Despite having confirmed this with at least one Moderator of the UKIP Forum of Anthony Butcher. When informed by RA that he was not that individual – without checking, despite doubt, since it was inconsequential I removed the comment with an apology published. 2. I had listed an employee of EUkip who had been rewarded with an MEP list position in the utterly corrupt selection process. 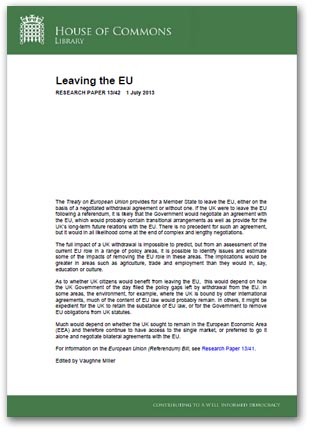 I made the false assumption that as he continued to write accordingly as an employee but he had ceased working for EUkip as soon as he was no longer likely to be elected. I made the correction with apology within minutes of being asked to. 3. 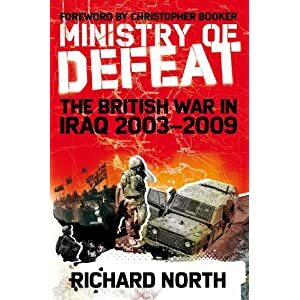 Subsequent to the vile behaviour of an individual in his underhand and duplicitous betrayal of Del Young for personal gain – I was advised by 3 separate individuals he had, having failed to maintain his web site or make any achievements he had scuttled away. I stated he was no longer an active member – which was clearly true however I was told he was still unfortunately a member – I corrected the statement and apologised for the error. In some 12 years as a very active supporter of UKIP these are the ONLY three errors of fact that I have been asked to correct and I have. It would be nice if EUkip had the same standards of morality, patriotism and integrity but we know with a huge amount of provenance they are untrustworthy, duplicitous and corrupt. #781* – Some of truth about that resignation – Corrections & More To Follow! Some of truth about that resignation – Corrections & More To Follow! 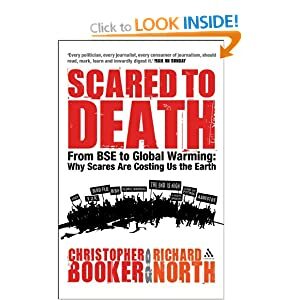 The True Story of Farage’s gutter principles, Stuart Wheeler’s contempt for Farage – Pearson & Wheeler’s USE of The Jumped Up Oik, difficulties over ElCom & More when out manoeuvered by the Eton belief that you can do what you like BUT DON’T GET CAUGHT! Disgusted at the company he keeps! The rest will likely follow! that would indicate a hung Parliament and Farage would angle to take his seat in the hope of a Peerage in the long term – well yes they already have a lot of paid off trash from the EU in The House of Lords and Farage would be amongts cronies from the EU, continuing to act as a useful divisive idiot, FOR the EU. He would of course resign as an MEP and hope to reassume the leadership of EUkip. A snap election in the autumn, which is a very real possibility could leave Farage without a seat desperately hoping that Clark, Bloom, Bannerman would pay him a wage – but there is little loyalty amongst crooks and the pond life around Farage would melt back into the slime from whence they came. Farage’s greatest fear at the moment is that the apeal direct to the so called Supreme Court will fail – leaving him clearly connected to the £3/4Million of debt he personally incurred with help from Andrew Smith & others. It would be too early for his game plan of abandoning UKIP to go bust whilst he rode on as leader of EUkip working, as he does, for the EU. #779* – IS PEARSON INCOMPETENT TO OR UNABLE TO LEAD EUkip? IS PEARSON INCOMPETENT TO OR UNABLE TO LEAD EUkip? IF LORD PEARSON CAN NOT ACQUIT HIS DUTY HAS HE THE INTEGRITY TO RESIGN DESPITE BEING AN O.E.! By now even Lord P. must have started to realise that UKIP is not a political party but a Nigel Farage cult. I have never doubted Lord P is a decent, honourable man if a little confused in his loyalties. He is an instinctive Tory and does not wish to damage the Tory party whilst he clearly hates the EU and sees it in the UK interest to withdraw from the EU. Is he prepared to kill the Tories to achieve EU withdrawal? Well that is the question Lord P has to answer. Nigel Farage’s answer seems to be No! Just as Petain, the hero of Verdun, saw it in France’s interests to collaborate with the Germans post 1940 and run a pseudo independent Vichy state where all important decisions he made had to be ratified by Adolf Hitler on whose troops Petain’s regime depended, so Lord P runs a so-called party staffed by Farage’s place men and salary men whose loyalty and reporting line is to Farage, not Lord P.
Lord P was of course naive not to realise this in the first place. He could have run a clean up and clear out campaign like Gerard, Nikki and Alan Wood but chose instead to let himself be controlled and managed by Malcolm Wood, a leading sycophant of the Farage cult. The truth was Lord P had neither the knowledge of UKIP or the political skill needed to run a leadership campaign. He is also a very poor public speaker. The UKIP Farage cult is reasonably easy to control. Most of the members are elderly, decent, honest, politically naive people who cannot imagine the low tricks that the Cabal regularly indulge in to keep their snouts in the trough. The younger more active and politically aware members have been purged from the party many without even a Stalinist show trial. Farage even vets who from UKIP or ex-UKIP Lord P. can invite to his healing meals in the House of Lords. Farage decreed the proposed guest list were virtually all his enemies and should not be entertained. Well I have heard of control freakery but never to this extent. What on earth does Lord P. think he can do with Farage controlling his every move? Lord P. has to clean the stables or resign. To be his own man he has to demand the resignation of the entire NEC and find sufficient funds to set up a UKIP press office and staff it with his own people who owe their loyalty to UKIP not Nigel Farage. He has to organise fresh NEC elections via the ERS. I hear the Faragistas cry we have not got time before the General Election. I don’t think it matters as we do not seem to have a GE campaign anyway! We don’t have a chairman, campaign manager, organisation or strategy and are dependent on a EFD press office. Far better to go to the country as a transparently clean party. It may work as the idiotic MPs and Lords are guaranteed to keep the expenses scandal running. The media will inevitably look at MEP’s abuses of the system that are many and varied. UKIP would do better with a clean campaign rather than risk answering questions about where Farage’s expenses are published, why he still employs his wife etc. Who knows what might emerge? Let Farage take on Bercow in Buckingham. I wish him well and in Mrs Bercow, Farage has an incredible asset. As in Vichy France the real believers in the cause had to go underground and fight a guerilla war so will many UKIP activists do the same. We do not wish to be linked with Farage’s Liga Nord, neo Nazi associates in the EFD party of which he is joint leader. 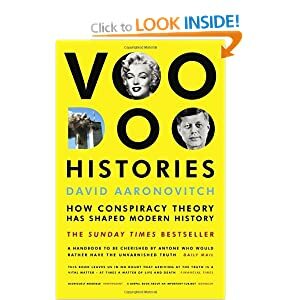 Lord P. should remember the old saw, “A man is known by the company he keeps”, and how Marshal Petain is now remembered, not for Verdun, but for the Vichy collaborationist regime he lead. Simon Muir’s comment ‘e’mailed to me CLICK HERE hits the nail spot on. He is just the sort of person UKIP was built on and the buffoons who are now EUkip have so betrayed and alienated – dedicated patriots with intelligence and conviction, used to management and marketing. I see Simon & his wife a GP and their 3 kids regularly they are so angry at the betrayal by the self serving betrayal by the Faragista Fan Club that they have probably cost EUkip many 100s, if not 1,000s of votes. The close connections with TV & News after his many years in the BBC can hardly help these days. Sadly we can all list dozens like him. We now note that Pearson in his ineptitude is arranging meetings to beg people to return!! Those that can be thus persuaded are NOT of use – you will wind up rebuilding failure just think of the useless articles that could be thus persuaded, we can all list dozens of them. 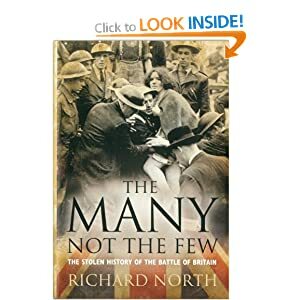 The way to get Simon, Peter, Gregg, Robin, John, Niall, David, Richard, Drew, Len, Louise, Rachel, Petrina, Paul,Ruth, Geoffry, Gladys, Gerald, Carol and 1,000s more back is to ignore them as a leader and get UKIP back on the tracks with transparency, clarity, training and HONEST Leadership. Once the parasites of The Faragista Fan Club are off loaded Pearson can all but guarantee a surge in membership to well over 30,000 as people clamour to rejoin. Farage deliberately blocking his puppet holding meetings with the failed is quite right but both are too politically inept to realise why! In The CRANO RECTALLY RETENTIVE WESTMINSTER BUBBLE, WHERE THOSE LEFT BEHIND BY POLITICS BURBLE ON! I accept that UKIP will not win the general election, but neither will the Liberal Democrats. 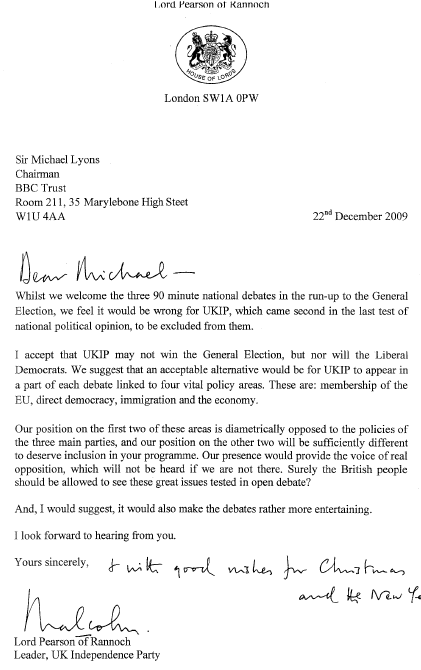 He goes on to suggest that UKIP is allowed to appear in the parts of the debates relating to Europe, Immigration, direct democracy and the economy. It’s a good try but simply won’t wash. UKIP doesn’t have a single seat in Parliament and doesn’t even stand in every seat across the UK. If UKIP is let in, what about the Greens … or you know who? In the end there has to be some sort of criteria for inclusion in the debates. I’d have thought the first hurdle was having seats in Parliament, the second was standing in every, or virtually every, constituency and the third was that there was some sort of prospect of your party forming a government. The LibDems might fall at that final hurdle, but they are only a few per centage points behind Labour in the polls. Interestingly, there is no threat of legal action in Pearson’s letter. All in all, it seems as if UKIP is going through the motions. Of course the big question is this: if by some remote chance the broadcasters allowed UKIP to take part, who would represent them – Pearson or Farage? one has to laugh at children’s hour with the navel gazing of the inconsequential in pursuit of the irrelevant! No one seems ready to join the real world in the smug self satisfied and utterly irrelevant Westminster bubble. Like one big fairy ring in a meadow. Clearly to self obsessed and crano rectally retentive to accept or even perhaps realise Westminster is irrelevant – The GE is a sop for fools. 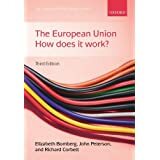 Do read your new Constitution and work out a plan as to how to tell the electorate it would be quicker, cheaper and more meaningful to shut Westminster than continue the farce now that we are directly ruled without any meaningful democratic input by Brussels. 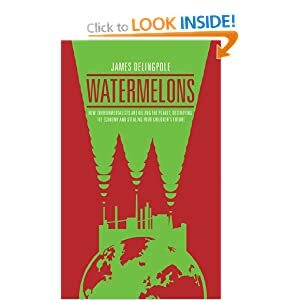 The new global currency is The Carbon Credit and our wealth is deliberately being syphoned off. IF you are stupid enough to think Westminster has any relevance you are stupid enough! Just what the global kleptocracy wants fat, foolish and self indulgent nebishes with penny ante scams at Westminster whose loyalty and support is thus bought by their guilt and their greed. Meanwhile just look at the £Billions that are being ripped off in the warmist scam. A levie on every invoice merely to fund the £billions in bribes. Westminster is easily bought and cheap! PLEASE wake up and help defeat the biggest ponzi scheme in history so far instead of weenie waggling at Westminster! Put them all on TV – this years strictly come politicing – who cares who wins – they will make no difference LibLabEUkipCon all as corrupt and as venal as each other with no consequential difference between the! 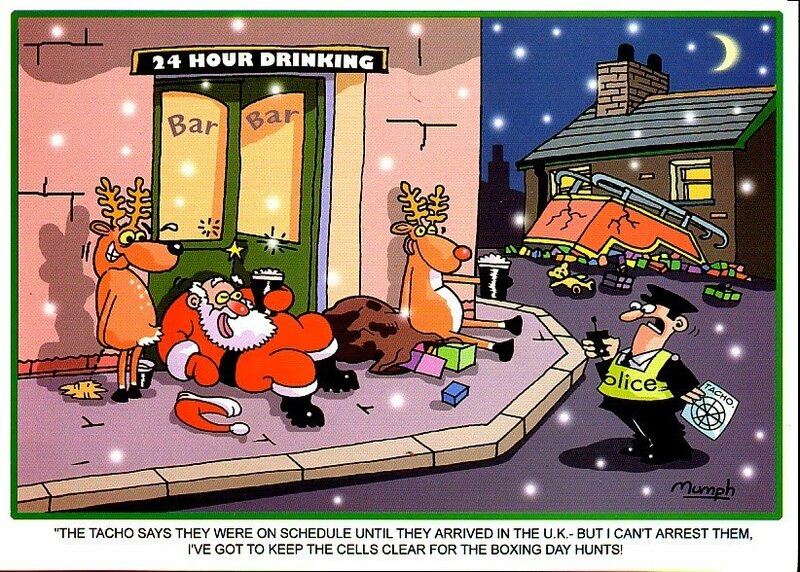 #777* – EUkip’s RACIST PARTNERS IN TASTELESS NATIVITY ROW. EUkip’s RACIST PARTNERS IN FARAGE’S NASCENT PAN EU POLITICAL PARTY INVOLVED IN A TASTELESS NATIVITY ROW.! Nigel Farage as co-chairman and Mark Croucher as his press aid must accept responsibility for dragging EUkip into their gutter. After deliberately raising the profile of The BNP for personal gain in the EU elections and ensuring they were kept in the headlines to provide a reason, besides allegations of corruption, to provide faux publicity for EUkip who were expected by competent pundits to get 3 or 4 MEPs elected – the tactic of assisting the BNP by raising their profile did get 13 EUkip MEPs onto the gravy train the downside was that in doing so they raised The BNP to a position where they obtained 2 MEPs. EUkip’s racist affiliations are now clear for all to see as they have alied themselves with some of the most violent extremists in EUropean politics forming a Pan EU Political Party in waiting for the launch of same in November 2010 in accord with the new constitution. That they have thrown in their lot with outright racists, xenophobes and anti Jews brings nothing but shame on EUkip – Would it have been their policy to pretend to appeasement to re-arm in the time bought by Chamberlaine in 1939 or would they have been in accord with Oswold Mosely seeking a concordance with the Nazis & bigots of the day? There seems to be a very distinct split between the racist, xenophobic, anti Jewish team including the EUkip MEPs with their own leadership, policies, aims and funding leaving a rump of duped and muddled supporters with the huge liabilities, no clear income £3/4M of debt (and rising) incurred by the deliberate attention seeking arrogant actions of Farage, Smith and a few others. Fear not EUkip as a Party and its new leader will be used when required but abused when inconvenient – eventually it would seem the intention is to dump the members and subsume the MEPs into the new EU scam in pursuit of the massive bribes and rewards that will be available to MEPs willing to abandon their Countries in pursuit of the EU scam with its little local currency the EUro as it milks the people to launder and form the new international currency, which is well under way with the Carbon Credit Currency. Just look at the Carbon TAX on your Electric bills! The tip of a very malign ice berg that as the debate heats up and the temperature cools down will be aided by those accepting its rewards. Once it was allegiance bought by a draught on the King’s Shilling but the allegiance is now secured by bribes running to £Millions. 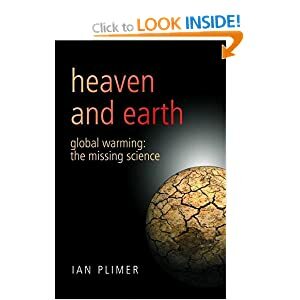 The new global elite are already skimming the people for £$€Billions – £2Billion was squandered on their failed sales conference in Copenhagen which failed despite ALL the High Priests of Warmism were there to sell it. A handful of bigots literally dreaming of a “White Christmas” are kicking up a row over a nativity scene that depicts a dark-skinned Jesus, Mary and Joseph. The crèche is on display in a Verona, Italy, courthouse, Reuters reports, and has sparked the ire of the virulently anti-immigrant Northern League party. The outburst of holiday rage coincides with the Northern League’s “Operation White Christmas,” a bid to purge Coccaglio, a small town east of Milan, of immigrants without proper documentation, Reuters reports. “It is a useless act of provocation, just like the suggestion not to have a nativity scene at all, in order not to offend Muslims,” a Northern League minister, Luca Zaia, reportedly told a newspaper, making reference to proposals that would bar shops and town halls from displaying nativity scenes. “Magistrates have other problems to deal with: I hope they spend as much time thinking about lawsuits and trials,” he reportedly said. The nativity scene was the brainchild of Verona’s chief public prosecutor, Mario Giulio Schinaia. Schinaia also told Reuters he’s glad the scene is inspiring debate. Other hare-brained anti-immigrant schemes by the Northern League have included attempts to ban Chinese food, prohibit the construction of mosques and institute segregated, immigrant-only trains and buses. The party is allied with Prime Minister Silvio Berlusconi, and members hold several important cabinet posts. Immigration is a political hot-button issue in Verona, with anger directed at foreigners from northern Africa and Eastern Europe who’ve flocked to the wealthy city. Douglas DENNY EVER THE ‘R’SOLE DISPLAYS HIS COMPLETE IGNORANCE OF ALL BUT THE FANTASY WORLD HE LIVES IN! here with a few comments by the idiot Denny who for a change is not not deliberately telling lies or inventing some foolish and juvenile ‘Bigglesesque’ plot – he merely displays his complete idiotic ignorance of what is going on around him and his willingness to make a complete prat of himself by giving definitive answers on the matter when not only does he not understand the subject but hasn’t got a clue about a letter that was presented to the NEC and appropriately mailed out by the head chav Paul NuttAll on All Fools Day. Modesty precludes me from repeating the opinion of Delboy when NuttAll phoned him up when he hadn’t bothered sending the letter back – Del however seems remarcably unobservant but NuttAll may have similarities but Del seems not to have noticed he has no hair!!! NuttAll was so astonished at the compliment that even phoned Del back when he had had the phone put down on him – I gather Dels opinion had not changed! It was after this exchange that Del Young was formally dumped from EUkip based on false evidence – much as they had acted on trumped up evidence against Dr. Eric Edmond, Dr. David Abbott & Niall Warry. Facts and truth are of little consideration to €Ukip, you will remember that Mark Croucher published a pack of lies in The In House comic he tried to edit in a desperate attempt to ensure Farage would be elected as it was the only hope of his retaining a job. Since Del Young was not a UKFirstParty member at the time of the ill mannered and ill considered letter, nor had he been,which under employment law could have put €Ukip in Court Again but without a solicitor because Zuckerman doesn’t know when to turn up to Court – he could have sent two congenital idiots to represent him & lose! That Del was inelligible for any office and was rejected as leader of the party having failed to provide any kind of CV is a minor detail. 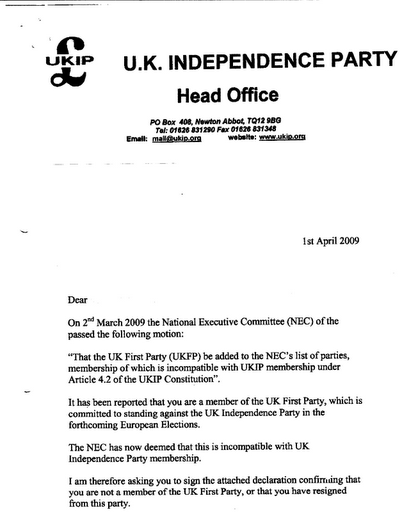 One wonders why he was constructively dismissed when his membership ran out as he had never been a member when Trevor Colman wasn’t kicked out from €Ukip having assisted in the formation of UKFirstParty and having assured them he would use the election to get in as an M€P and then join as an MEP I understand. It seems however that he is now happy to remain with €Ukip where he feels at home doing nothing worthwhile to get Britain out of the €U whilst keeping his snout in the trough in the company of racists, xenophobes, anti Jewish extremists like him who espouse violence and sexual intollerance clearly he sees himself fitting in with such people – not such a far cry from corrupt reports orchestrating cover-ups for Tom Wise’s fraud and theft of public money. …and a far cry from the Eric Edmond lie that “He was effectively kicked out by Nuttall on false evidence”. Frankly I doubt it would have said that, and if it did, then I agree it was heavy handed and should have been phrased better.. but do you actually KNOW this 100% certain sure to make your definitive statement, or is it just more anti-UKIP propaganda by GLW’s friend and arch-acolyte/replacement Edmond? Interestingly Douglas Denny has consistently lied and invented stories and was such a dishonest and corrupt liar that he was removed as Returning Officer by the NEC for trying to rig the leaderrship election for Farage. He is proven untrustworthy and portrays himself as the €Ukip village idiot on a parr with liars and cheats like Bob F-M & Croucher – yet for all his posturing and lies he has failed totally to identify a single solitary instance where I have told ANYTHING but the truth. Del Young was not a member of UKFirstParty then or at any other time but refused to sign such an ill mannered and unethical letter.